Cruise is hassle free vacation you can enjoy on the whole over there with no pollution, no alarms, no work tension, no stress, no one to command you, no time constraints free to do anything on any time, it’s all about you and your family or it’s all about you and your love. 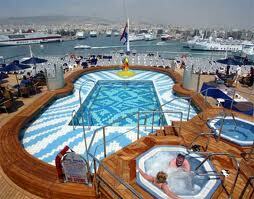 People generally select cruise for all these purposes. Enjoy your being with nature, you need to pack and unpack it only once in cruise, you need not search for good hotels, you need not think over your lunch and tea breaks it’s all ready made in a cruise. Cruise itself offers a huge variation in all its events and it even stops at various interesting spots. Always hanging out to different places is usual, but this cruise experience will be really different and enjoyable even. Being socialized and mingling with people there are so simple, you will get to find new friends. Cruise other place filled total romance, and cruise ambiance will develop your intimacy and love bonding relationship between you and your spouse. Now it’s time to guide newly married couples on how to travel in a cruise and steps to be followed there. Please don’t hesitate to inform your cruise staff that you are on honeymoon, though they knew it your personal words will make it so strong that they render you the best services in your cabin. And above all this increases a friendly relationship between you and cruise members. 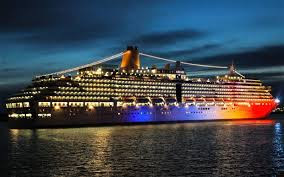 Pre cruise idea is nothing but enjoying yourself in island for day or two so that will drastically increase your cruise experience more even, post cruise is same done after a cruise journey but I will strongly suggest Pre cruise stay because it assures you totally on Flight connection , cancellation, and all insurance on it. After your marriage please bring your marriage certificate, because all your driving license and passport will be in your maiden name it would have not been changed and this might create a serious problem in air port check, so to be in safer side and enjoy your trip please bring your marriage certificate. Do book your travel in cruise at right time, you are there to travel and enjoy your being with your spouse so if you book at vacation time , or during school holidays then you won’t find your way of privacy there you will find children wandering in and out screaming around too. Do check your, co passenger lists who all are travelling with you because if you travel with all corporate employees and I think it won’t work out much on your honeymoon. Please read the cruise selection guide before you act into the process this will help you in all means.